“New” MV Agusta F4 for 2018 presented. 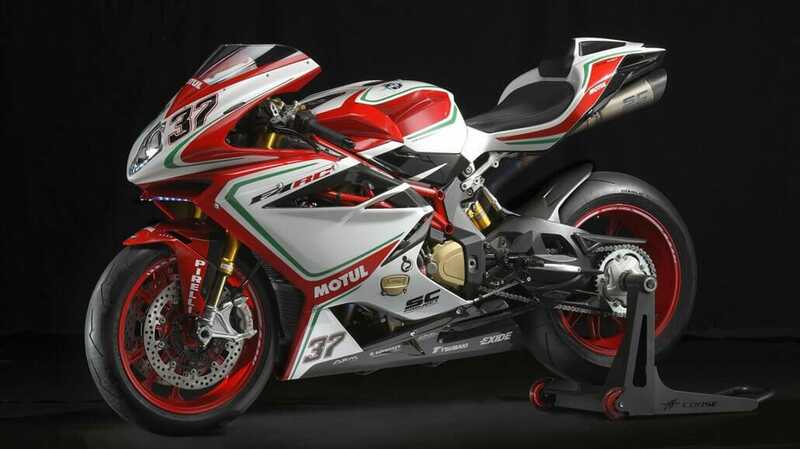 Recently, the special model of the MV Agusta F4, which was designed in collaboration with Lewis Hamilton, was presented. Now the next F4 is already announced. However, the model for 2018 is purely an optical update. Technically it is identical to the F4 RC. Also the racing kit, which increases the 205 hp to 212. The limited model costs about 40,000 €.